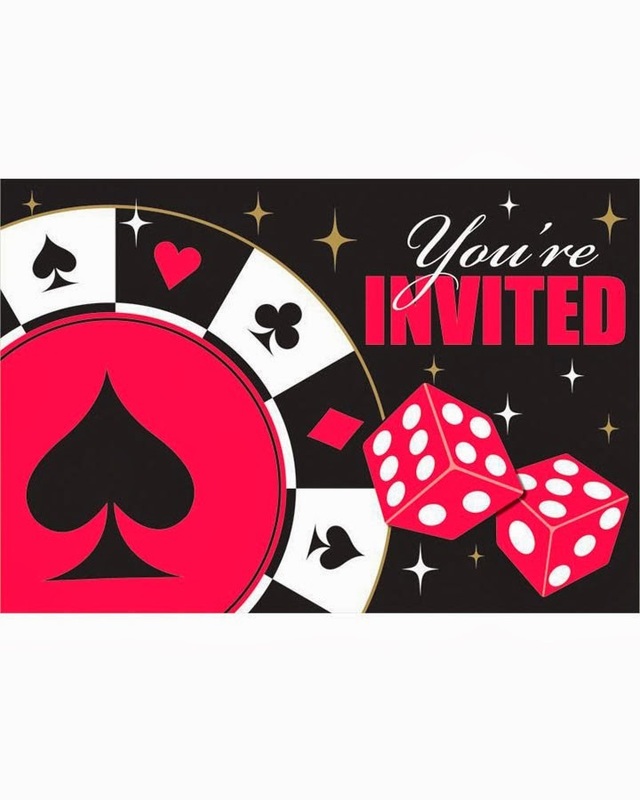 Vegas Night, Poker Night, Casino Royale... which ever way you decide to play your cards, a casino party is sure to give you a full-house! 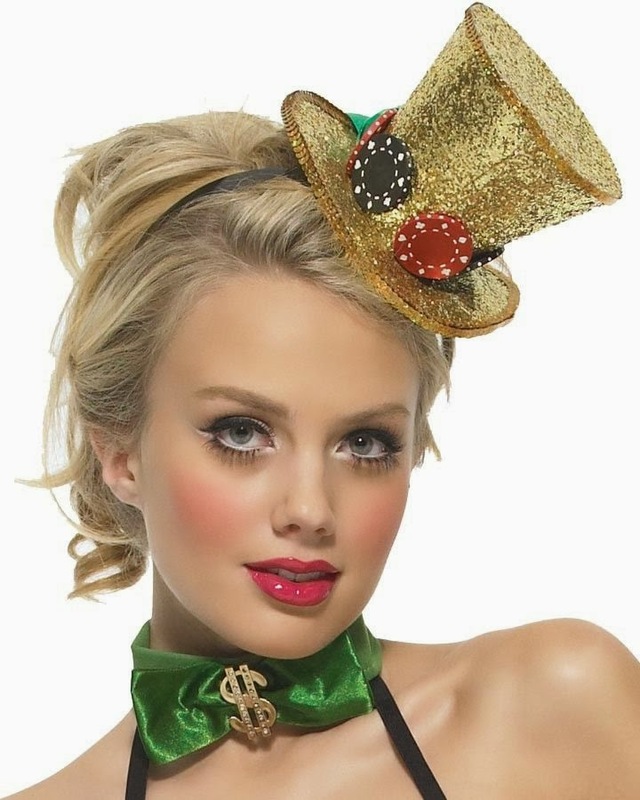 "Throwing a casino themed party will make you a winner!" This is a versatile party theme, dress it down for a 'quiet' night in with the boys playing poker, or throw a lavish black-tie affair that would make James Bond feel at home. 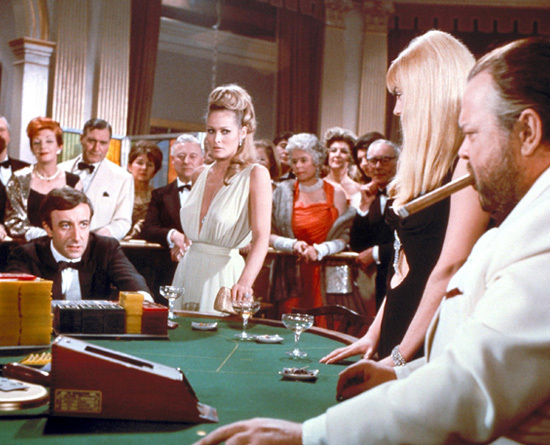 Either way, we've got some great tips to help you host the perfect Casino Party. You'll need to cover off a few areas to ensure your party is a hit. A little planning will go a long way in making sure you don't spend the night running around, and not having time to enjoy your guests and win a bit of loot at the gaming tables! Make sure your guests know when your party is taking place! Give them enough time to work it into their schedules, but don't make it too far out that they'll forget about it. You can send out a Facebook invite, but do this as a back-up to a personal invitation - using a themed invitation will have great impact, and helps you to set the tone for the party. 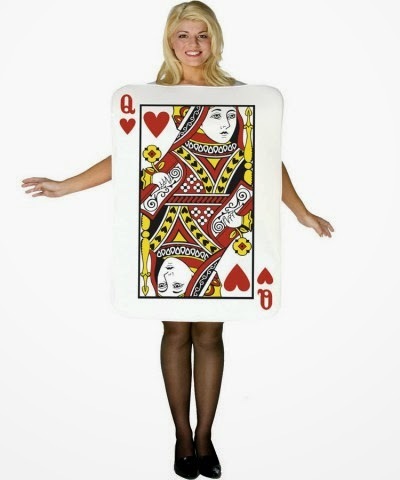 Use this opportunity to give your guests an idea of how casual or formal your casino night will be. Include details about dress code, what to bring, the games that will be on offer, and what the spending limits will be for gambling. It's hard to compete with Las Vegas! 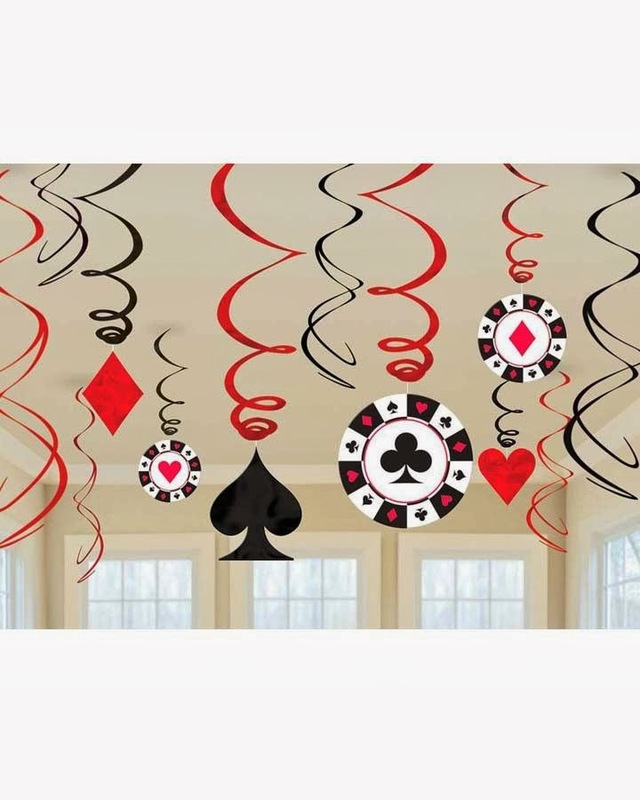 But, you can certainly give your local RSL a run for their money with red, white and black decorations that feature card suits and dice... and of course the colour of money! If you are having a low-key night of cards with the lads, a round table in a dark room with an overhead lamp and a beer fridge is all you need. But let's take this to the next level - no one likes a sausage party. Set up your gaming tables in a few spots around your living space, leaving room for a bar and socialising. If you want to stretch your budget, decorate the high-impact areas of your location: the entrance, the bar, card tables, and of course the kitchen (everyone knows it's where every good party ends up!) Think about setting up a photo-op area where guests can have their photo taken with a backdrop. Red, white and black balloons. Hanging dice, cards, chips, and money. Card suit themed tableware or red, white and black tableware. Green felt card table covers. Streamers, backdrops, flashing fairy lights. 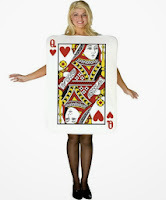 Check out the range of casino themed party supplies at CostumeBox.com.au and get creative! Need more inspiration? See what people are pinning on our Pinterest Casino Board. There are a couple of ways to go here... casual or fancy. 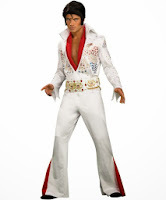 Both can be lots of fun, so go with whatever is appropriate for your event and guests. For a casual card night, think about providing hats, cigars, and sunglasses for your guests, handing them out as they arrive or leaving them at their place on the card tables. Don't forget to dress up your card dealer in a vest and teach them a few card tricks to entertain. 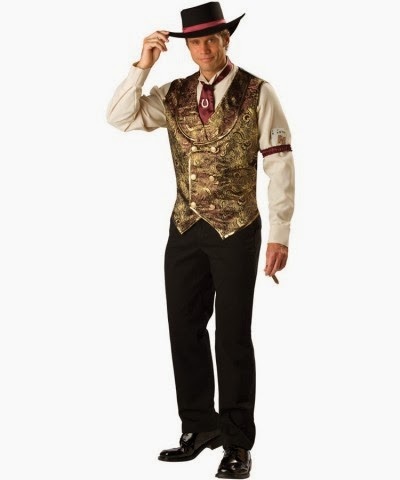 If you're thinking of something on the classy side, a little Casino Royale maybe, you can set the dress code as more elegant with tuxedos for the men and evening gowns for the ladies. 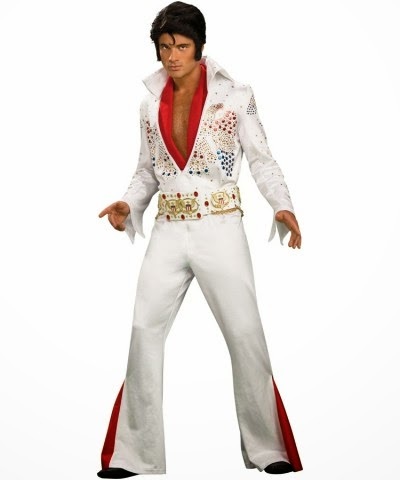 You don't have to take things too seriously either, think up a playful theme for the night: Vegas icons like Elvis and Britney Spears can make for a fun and interactive night. 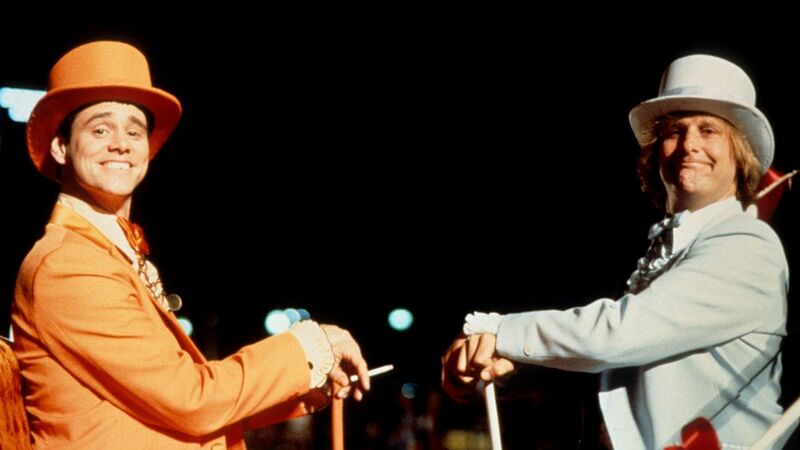 Or go with a goofy theme that gives you an excuse to finally break out your Dumb and Dumber tuxedo! Everyone knows the drinks flow like water in Vegas casinos, so be sure to let your guests know if they need to bring anything... otherwise, stock the bar well with lots of beer, ciders, and all the fixings for a great bar. Don't forget to set out the martini glasses and brush up on how to make the James Bond inspired Vesper Martini. Be sure to prepare lots of finger foods and snacks that you can circulate around the game tables and bar without too much fuss. Some of your favourite appetisers like sausage rolls, satay sticks, stuffed olives, and cheeses will do the trick. If you're doing a simple lads or ladies night of cards, pizza, chips and dip are mandatory fare. 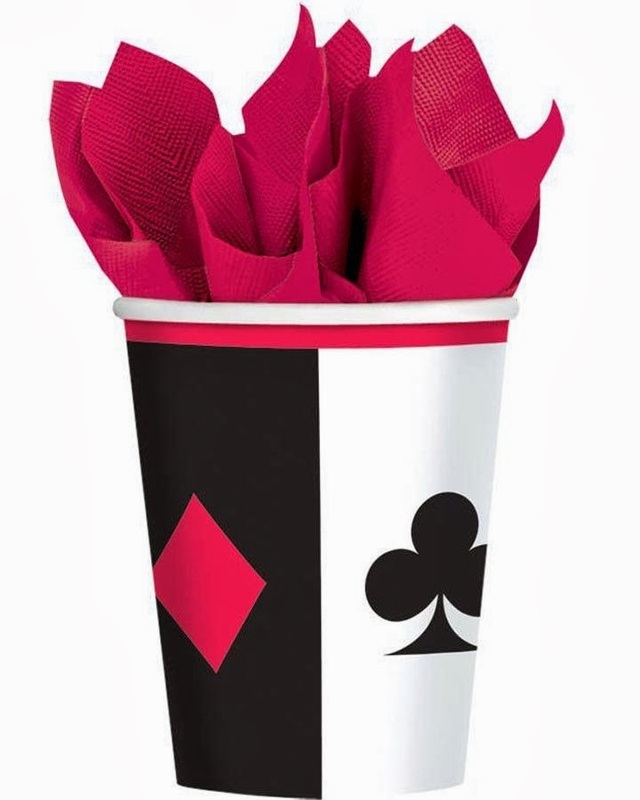 Use red, white and black tableware for your drink and food service, or something creative like these card suit inspired cups and plates available from CostumeBox.com.au. 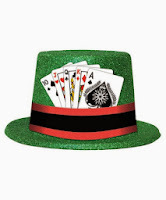 Don't forget to work some of your casino props into the table if you are laying out a buffet: casino chips, cards, and dice will add some pizazz to your presentation. Set up several playing areas around your house. 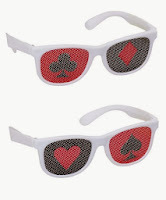 If your space allows for it, think of having a few different poker style tables: one for Texas Hold'em, one for 5 Card Stud, or whatever variations your guests may be interested in. Blackjack is an easy game to set up for, and guests can come and go as they please without getting roped into a long card game. 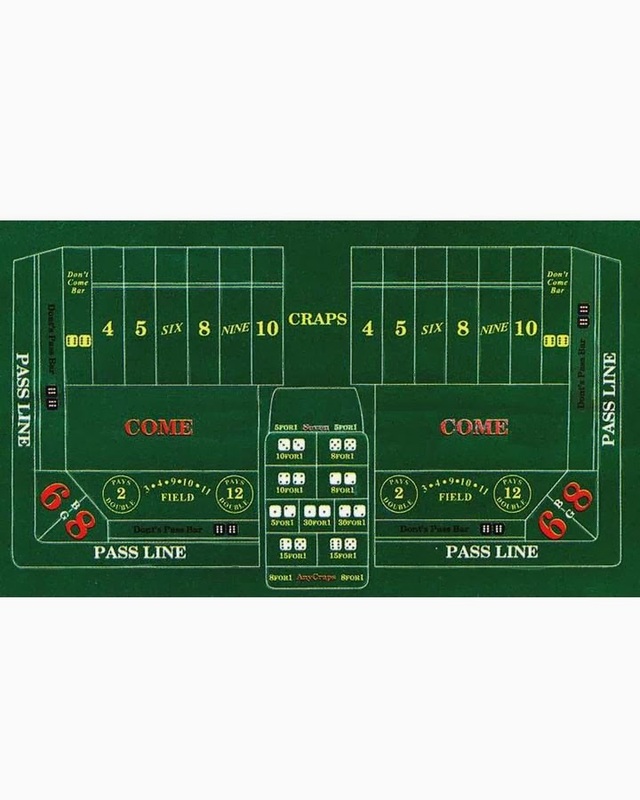 Craps is a popular and social game for a casino night, so be sure to pick up one of these handy green craps felts to play on. 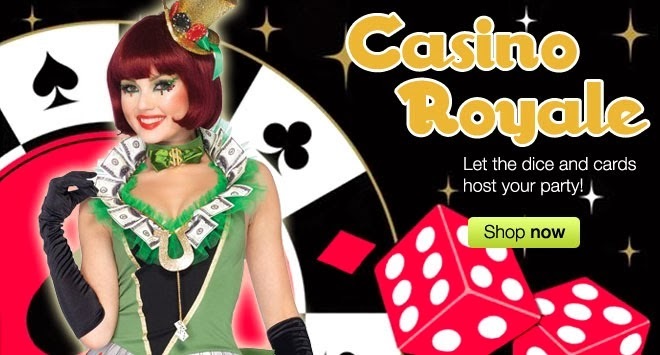 Roulette is fun, and renting professional casino equipment can be a great way to take your party to the next level, check out Casino Fun Nights with locations around Australia. Let your guests know if they will be using real money or you are providing 'funny money' to play with. Be sure to have card game rules, and agree on which ones are being used before play starts. Have lots of fresh packs of cards on hand. Think about getting a poker kit, or stock up on chips. Have enough playing areas that everyone can have a go or limit play time so everyone can have a crack at winning some money.